I spy enticing eye candy. 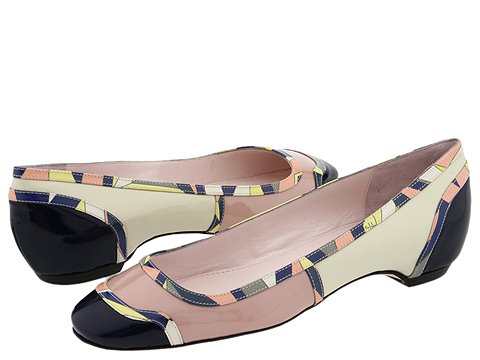 Delightfully dress your feet with this artistically alluring flat by Emilio Pucci. Leather upper. Leather lining. Leather insole. Leather outsole. Made in Italy.